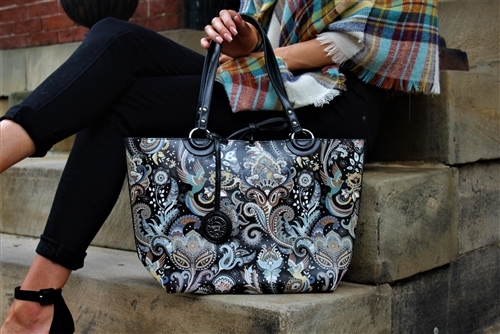 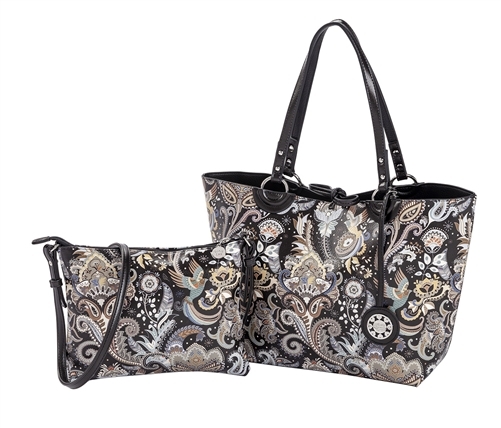 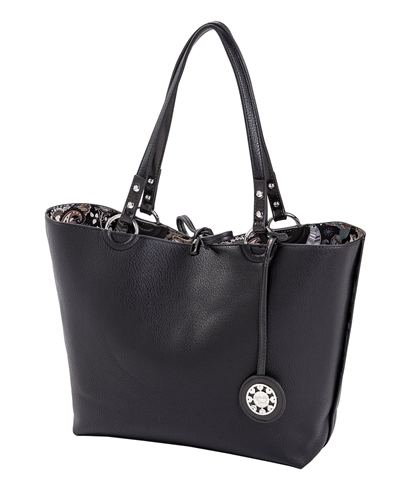 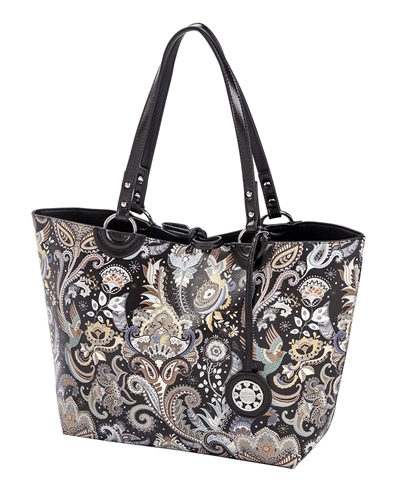 This reversible tote bag is decorated with an iconic Paisley pattern and secured with a top tie. 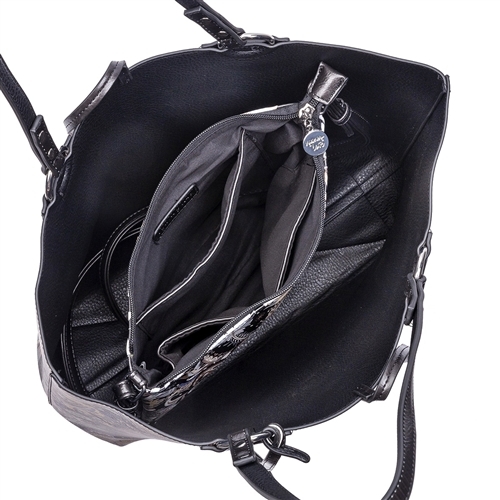 Easily reverse the bag inside out to display a contrasting solid interior. 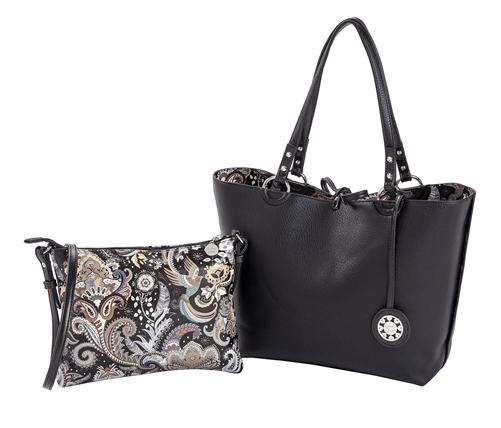 It also features a practical inner pouch that can be styled separately as its own crossbody bag.